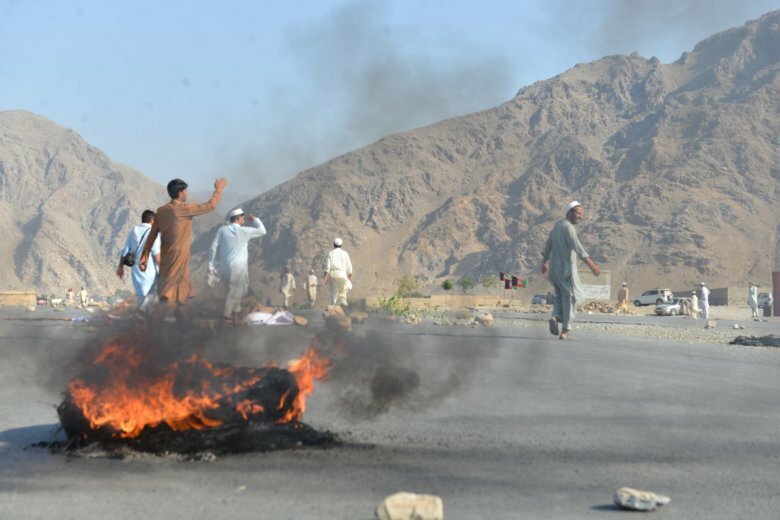 KABUL, Afghanistan (AP) — The death toll in a suicide bombing among a group of people protesting a local police commander in eastern Afghanistan has risen to 68, up from 32, provincial officials said Wednesday. Attahullah Khogyani, spokesman for the provincial governor, said 165 others were wounded in the attack a day earlier. The Taliban denied any involvement. No other group immediately claimed responsibility, but both Taliban insurgents and the Islamic State group are active in eastern Afghanistan, especially in Nangarhar province. A local affiliate of the Islamic State group has emerged in recent years and carried out brazen and increasingly deadly attacks, most often targeting civilians and the country’s minority Shiite Muslims, who it views as apostates. The Taliban and the Islamic State affiliate are enemies and have attacked each other’s forces. Both the Taliban and IS carry out near-daily attacks in Afghanistan targeting security forces and government officials. Tuesday’s attack was marked by one of the highest death tolls in attacks in Afghanistan this year. In January, a Taliban-claimed suicide bombing in the capital Kabul killed at least 103. In western Herat province, Taliban insurgents attacked a police checkpoint, killing six police, said Abdul Ahad Walizada, spokesman for the provincial police chief. Walizada said another officer was wounded in the Tuesday night attack in Pashtun Zargun district. He added that 10 insurgents were killed and six others wounded during a gun battle with a reinforcement unit. The Taliban have not commented on the attack but Walizada said Taliban are active in the district and often target security checkpoints.